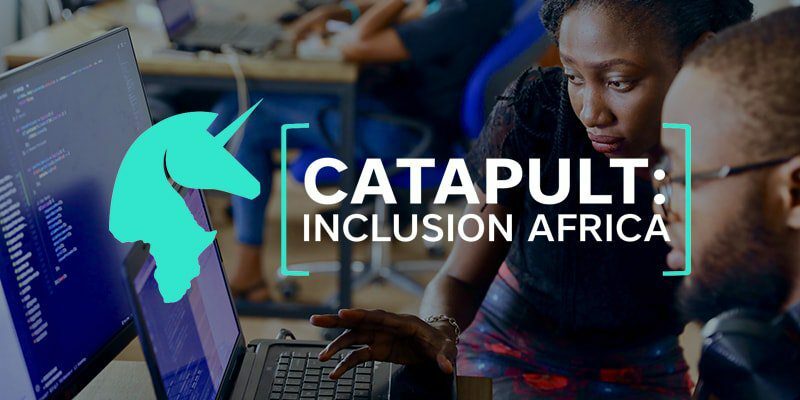 in Call for Applications, CATAPULT: Inclusion Africa, CATAPULT: Inclusion Africa Program 2018, CATAPULT: Inclusion Africa Program 2018 for Fintech startups, CATAPULT: Inclusion Africa Program 2018 for Fintech startups (Fully Funded to Luxembourg), LHoFT (The Luxembourg House of Financial Technology). CATAPULT: Inclusion Africa is a 1 week training and networking Bootcamp, hosted in Luxembourg between 5th and 9th November 2018, for 12 Fintech firms working to improve financial inclusion in Africa. The program is run in English. Travel and accommodation costs for the participating Fintech companies will be covered. 1 week training and networking Bootcamp, hosted in Luxembourg in November 2018, for 12 Fintech firms working to improve financial inclusion in Africa. The Bootcamp will leverage Luxembourg’s Inclusive Finance and Fintech ecosystem to support the 12 selected firms in developing their businesses and achieving their inclusion goals. Fintech as a tool to bolster financial inclusion by helping banks and microfinance institutions to become more efficient and effective in reaching underserved market segments. Building on the success and experience of the Fincluders bootcamp in 2017, Catapult Inclusion Africa is a unique program aligned with the sustainability goals of Luxembourg’s financial centre. Delivered in collaboration with key stakeholders from the microfinance, sustainable finance and traditional finance sectors. Participate in CATAPULT: Inclusion Africa. A unique opportunity to develop your company and seek investment. Startups selected could range from pre-seed to Series A stage. In general, the bootcamp is stage-agnostic as it aims to further support promising early-stage startups in the fintech for financial inclusion space and create synergies between them, partners, sponsors, investors, Microfinance institutions (MFI) and Public Financial Institutions (PFIs). ►Prior funding raised is an advantage but is not a limiting factor for the selection. CATAPULT Africa is provided by the LHoFT (The Luxembourg House of Financial Technology). The LHoFT Foundation is a public – private sector initiative that drives technology innovation for Luxembourg’s financial services industry, connecting the domestic and international Fintech community to develop solutions that shape the world of tomorrow. Tags: Call for ApplicationsCATAPULT: Inclusion AfricaCATAPULT: Inclusion Africa Program 2018CATAPULT: Inclusion Africa Program 2018 for Fintech startupsCATAPULT: Inclusion Africa Program 2018 for Fintech startups (Fully Funded to Luxembourg)LHoFT (The Luxembourg House of Financial Technology).